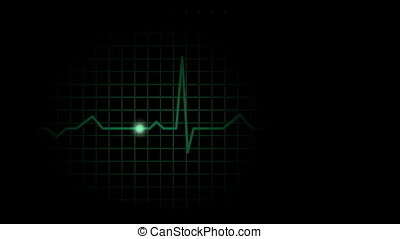 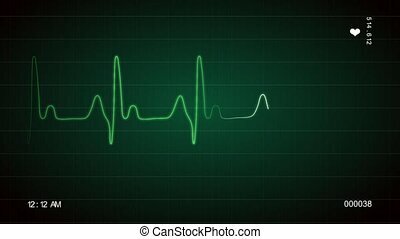 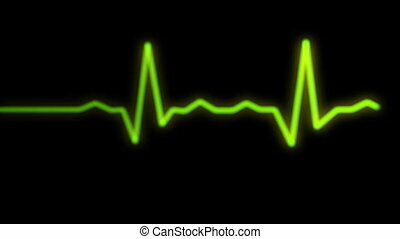 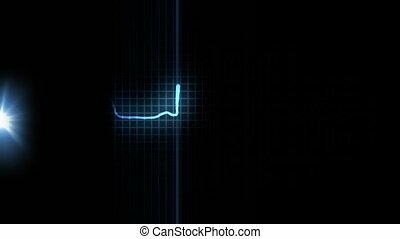 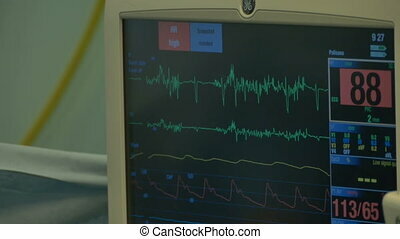 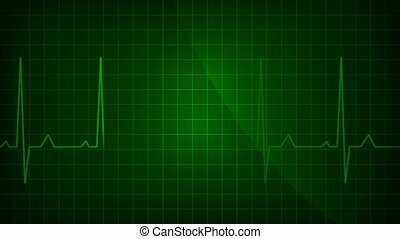 Close up of a looping ecg display electrocardiogram pulse real waveform. 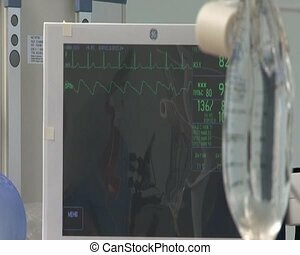 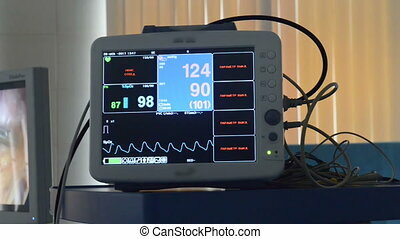 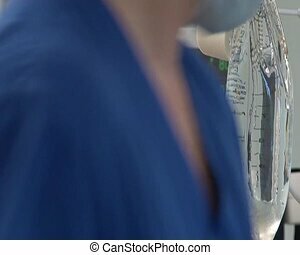 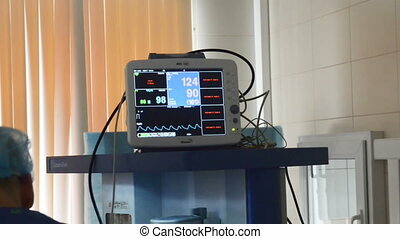 A ECG display monitor in the operating room. 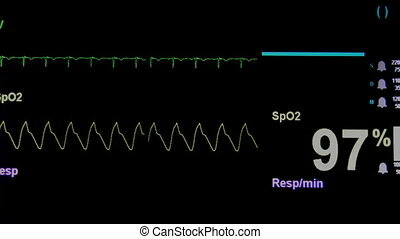 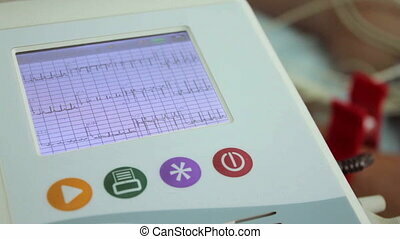 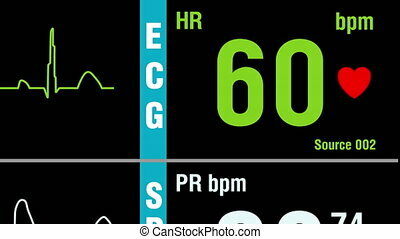 Patient display with vital signs ECG electrocardiogram, oxygen saturation SPO2 and respiration. 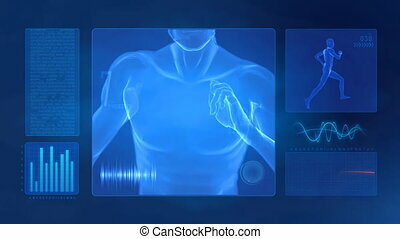 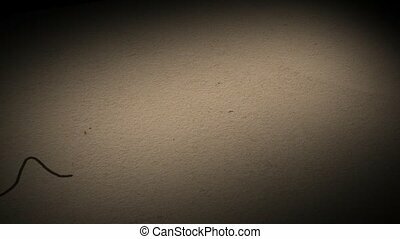 Medical examination zoom out shot.